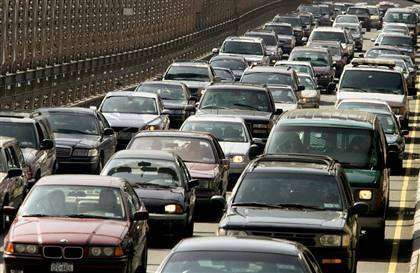 While extended holiday weekends normally mean record travel numbers, AAA is currently estimating that they only expect 39 million Americans to travel more than 50 miles from home during for the upcoming Independence Day weekend. If these estimated numbers hold true, it will be a drop of nearly 2.5 percent over the same period in 2010. According to AAA, the single biggest factor that will keep many from traveling revolves around the high price of gas, currently averaging $3.574 per gallon across the nation. That average price is $0.817 a gallon higher than it was a year ago at this same time. However, a deeper look at the numbers shows that the numbers are divided along income lines. For households earning less than $50,000 annually, only 33 percent will be traveling over the Fourth of July, a steep decline from the 41 percent that did so this time last year. Meanwhile, 35 percent of households that earn more than $100,000 annually will be traveling, up from just 26 percent last year. More income-based data shows that even with an average rise in cost of 11 percent, more Americans will be traveling by airplane – a full 9 percent more than did so the previous year. AAA also expects that despite the smaller numbers of lower-income households traveling, holiday travelers as a whole will spend 25 percent more than they did the year before. If you do plan on traveling over the upcoming holiday weekend, stay safe!